BRIGHTON, Mich.- You've heard about all of the amazing new features of the 2013 Ford Fusion, but did you know that in the event of a rear-end collision you could actually save money on repair costs compared to other vehicles? 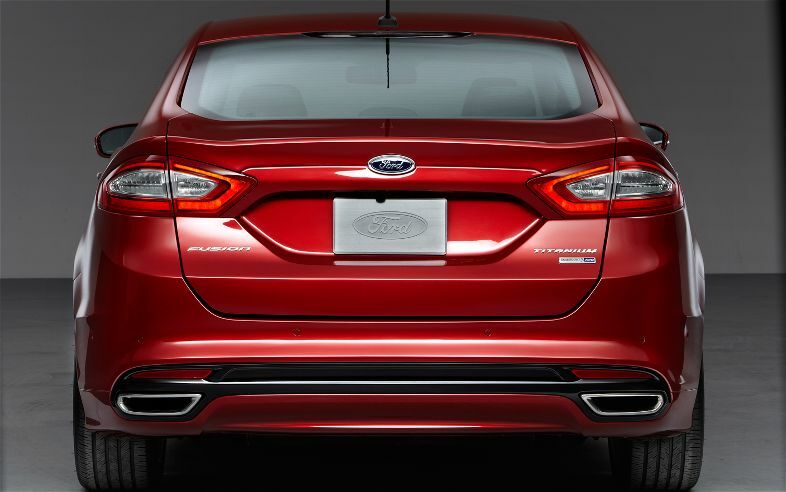 The complete redesign of the new Ford Fusion brought a sleek new look but it also brought a rear end that costs less to repair! Should you find yourself in a rear-end collision, you’ll be happy to find out that you will save $267 in repair costs to replace the rear bumper cover and panel assembly on its rear decklid, compared to the 2012 Ford Fusion. Since 19% of all collisions are read-end collisions, purchasing a vehicle with affordable replacement parts is important. And since the 2013 Ford Fusion has Lower Repair Costs, 13% lower, you can feel comfortable knowing it won't cost you a fortune to repair! Why not save on the initial purchase from your Livingston County Ford Dealership too with our Ford Fusion Rebates and Ford Fusion A Plan Pricing! Stop by our lot located at 8240 Grand River Ave. just north of I-96 in Brighton. We are a family owned and operated business that strives on customer satisfaction. For more information on Brighton Ford visit BrightonFord.com or give us a call at (800)-836-8206.